We’ve entered an exhilarating new era of self-invention. With access to new resources, technologies, and connectivity, you no longer have to rely on traditional channels to craft an incredible career. But surviving and thriving in this new landscape requires a highly proactive approach. 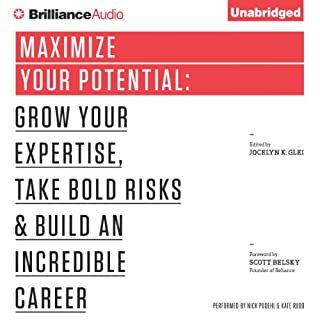 Maximize Your Potential will show you how to generate new opportunities, cultivate your creative expertise, build valuable relationships, and take bold, new risks so that you can utilize your talents to the fullest. Are you ready to "make a dent in the universe"? As a creative, you no longer have to take a backseat. In fact, stepping up and embracing entrepreneurship is the fastest route to impact. But where do you start? And what sets the businesses that succeed apart? To find out, we asked the bright minds behind companies like Google X, Warby Parker, Facebook, O’Reilly Media, and more to share their startup wisdom. Napoleon Hill Is on the Air! 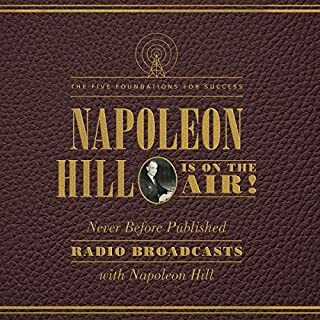 In 1963, at the pinnacle of his career, beloved motivational speaker Napoleon Hill - whose classic Think and Grow Rich continues to inspire millions - distilled his lifetime work into a series of live radio broadcasts. In each one, Hill walked his listeners through one of the Five Foundations for Success - what he described as absolute musts connected to "practically all achievement that's worth mentioning". A powerful & timeless classic. Whether you want to start eating healthy, switch careers, or improve a relationship, Brett Blumenthal's A Whole New You will inspire you to take control of your life and to live at your very best. 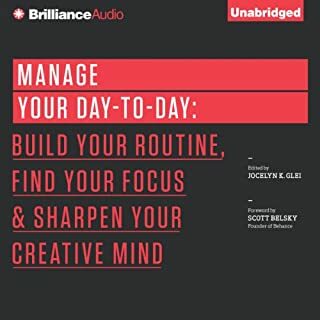 Drawing on her own experience with personal reinvention, her professional work as a change-management consultant, and her studies in the fields of psychology and human behavior, Blumenthal breaks down how to successfully reinvent your life in six steps. Each stage is comprehensively explained, with action items, tools, and resources to enable you to follow through and effect change in your life. a great tool box for the self! This fully revised and updated third edition of 50 Top Tools for Coaching includes a greater emphasis on professional qualification and accreditation, enhanced tools on self-development and strategy, a brand-new addition of transactional analysis tools, and an increased amount of career coaching tools. The authors have also solicited feedback from readers to create a "readers' top tools" section and they provide real-life examples from coaches on how the tools in the book have helped them be more successful and serve their clients better. How does a good manager become a great leader? Ask around in business circles, and you’ll get a thousand different answers. But now, internationally-renowned leadership expert Dr. Peter Fuda has created a single, coherent roadmap for leadership effectiveness in Leadership Transformed. After more than a decade’s research and practice, Dr. Fuda shares the seven common themes that have enabled hundreds of CEOs across the world to transform themselves into highly effective leaders, and transform the performance of their organizations as well. In The Leap, bestselling author Ulrich Boser shows how the emerging research on trust can improve our lives, rebuild our economy, and strengthen society. As part of this engaging and deeply reported narrative, Boser visits a radio soap opera in Rwanda that aims to restore the country’s broken trust, profiles the man who brought honesty to one of the most corrupt cities in Latin America, and explains how a college dropout managed to con his way into American high society. The Art of Coaching Teams is the manual you never received when you signed on to lead a team. Being a great teacher is one thing, but leading a team, or team development, is an entirely different dynamic. Your successes are public, but so are your failures - and there's no specific rubric or curriculum to give you direction. Team development is an art form, and this book is your how-to guide to doing it effectively. Like most other things in life, what we do with our career or business is usually on autopilot. Rarely do we take the time to fully become conscious of the actions we're taking with this very important area of our lives. With these series of powerful and transformational coaching questions, you can begin to analyze the current state of your career or business and start making drastic changes. If applicable, these questions may also be used to coach others. 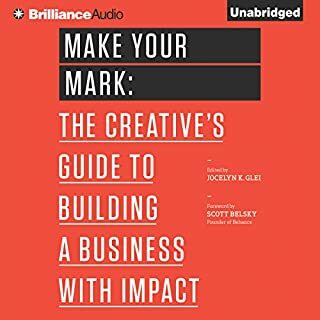 A MUST LISTEN Book To Improve Your Marketing! You're a leader because you possess expertise in your field. You have the training and experience. You understand your business - but can you fully motivate and engage your team? 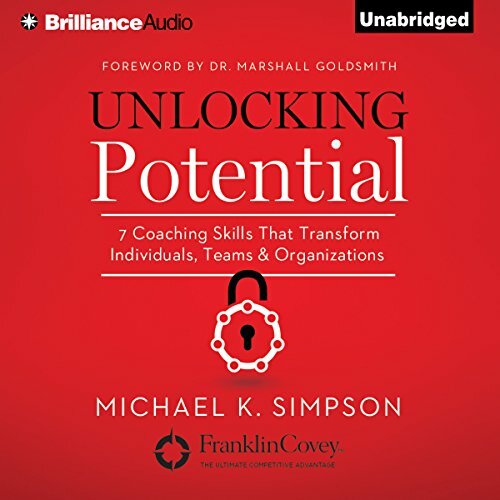 Michael K. Simpson, a senior consultant to Franklin Covey, has spent more than twenty-five years training executives to become effective coaches, mentoring and guiding leaders and managers to encourage and develop the talent of their people - the most important asset in any organization. In this guide, you will acquire the skills to coach your personnel from the ground up, maximizing their potential on a personal level, as members of the team, and as contributors to the organization as a whole. Transform your business relationships (and your business) with this comprehensive tool for optimizing productivity, profitability, loyalty, and customer focus. Don't just manage. Energize. Galvanize. Inspire. Be a coach. ©2014 Michael Simpson (P)2014 Brilliance Audio, all rights reserved. Nothing l've not heard before. Delivered in vacuous corporate Covey coach-speak. I found myself zoning out repeatedly, changing the playback speed from 1.25X to 1.5X and finally 2.0X to get through it. The coaching questions are good, though you can likely find them online. The author would've been better served by using actual dialogue rather than short situational summaries to relate client interactions. There was too much listing of information without enough compelling support stories or backgrounds information that might have been helpful in fleshing out the bullet points and making the memorable. it had its moments, but they were too few. I would probably rate it higher had I read a hard copy. I'll probably have to listen to this again. But it was well worth my time and I enjoyed it. The performance was very good and it provokes food for thought if you are in an environment that is not quite adopting these principles just yet. It provides a vision of how things definitely can be better. Simpson has assembled the essential factors of coaching in an organized and easy to follow guide. It is useful to the beginner professional coach, business leader wanting to coach internally, or as a refresher for the experienced coach. While the examples are based on corporate scenarios, this is equally applicable to coaching for personal strategic planning, individual performance improvement, and self-employment. Don't skip the epilogue. It would be better named "Creating Your Toolbox." I enjoyed most of the book.thabks for the effort. I dont like being forced to submit a ceetain number if words. 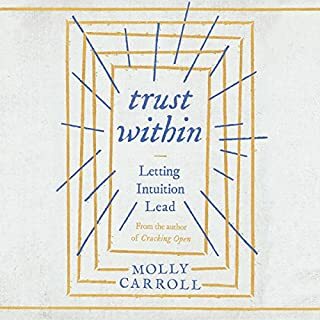 The section for the 7 coaching skills provide actions for implementing the above principles (like how to develop trust, how to give feedback, how to seek strategic clarity, and how to execute flawlessly). The advice in this book isn't much different from a management book. Becoming an effective manager is about understanding each individual in the team, managing/developing those individuals based on their unique needs, and leading the team to accomplish a shared goal. The only new insight is helping individuals in the middle improve their performance to have a larger impact on long-term success. If a manager focus on top performers and they leave the company, it will create a huge talent gap. If a manager focuses on weak performers to bring them up to a minimum quality level, then the other team members who could be adding more value are not receiving the guidance and attention to make that happen. Easy to relate to any business and practical. i started using the ideas immediately. everyone is better than the next. Very solid information with good references. 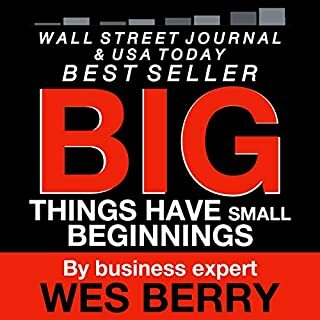 Very solid information with references to other great sources of information on business and management coaching. this book is just a poor knock off of all the other leadership books. the narration is extremely hard to listen to, as well. his voice is bland and unenthusiastic. I'm sure it is good in small doses, but not for a narrated book. he is either doing it for conceit or to save money. neither is a good reason and both are contrary to what he preaches. I will say, though, the questions at the end of the chapters are good. This was a great read/listen. I would advise that you keep a journal or notepad handy while listening to get the most out of some of the action points that the author lists. Delivery style is not great but the content more than made up for it. Honestly i tried to like but in the end think it was pretty much a waste of time. The author seems to have credentials to really teach or present insights into the practice of executive coaching. In the end though it feels like a list of hr activities a fortune 500 would put in their annual. The author introduces a seven step framework for coaching. He then presents each step and illustrates with some generic scientific quotes and example questions for the potential coach. The big questions remains :so what. What now? All this content could in the introduction. Later the author coule illustrate specific examples. Here i believe the book would benefit the most. Build on the first hand experience of the author.provide detailed cases he faced and then use the framework to show the change. At this point the written style is just far too corporate. It could be directly copied from a Mercer text. I miss a story, the person being coached and action leading to transformation. Worth listening to with a notepad over 6 sessions! Well structured, good as a reminder even for more experienced coaches. Don't like the way he says 'processes' but that's just me! What he says about processes is worth a listen. Some questions I wouldn't have thought of asking. They apply quite well to my client tomorrow. Good with a notepad, but also while cycling or walking.